We reported in February that Microsoft would implement web notifications into its Edge web browser on Windows 10. The latest Insider Preview build, build 14342, introduced this feature last week. 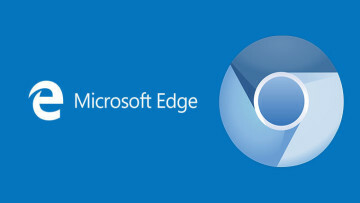 Now the Edge development team has released details about the web notification features that are available, noting that they will be also be included as part of the Windows 10 Anniversary Update. A web notification can alert users about activity such as when a message is delivered, or when a download has completed, by delivering this information to the user's desktop. 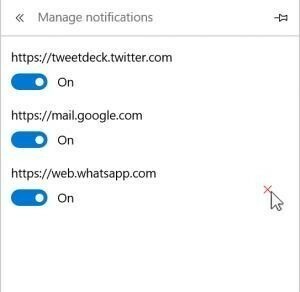 To ensure that the appearance of notifications is consistent with all other apps in Windows 10, web notifications in Edge rely on the Notification Platform. 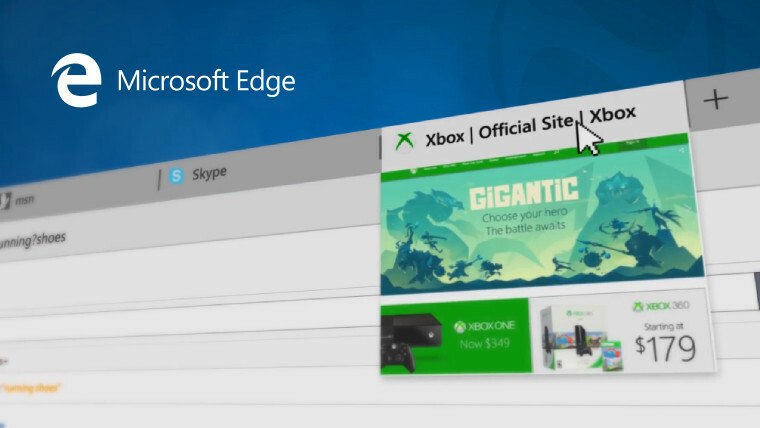 When a user clicks, taps, or touches an onscreen notification from within Edge itself, the web browser will redirect the user to the open tab or window where the notification originated. Websites must be granted permission before they can display notifications. After it has been granted, users can manage permissions via the Advanced Settings menu in Microsoft Edge. 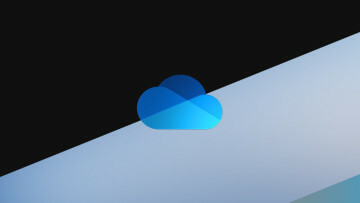 When notifications are not immediately interacted with, they will be stored in the Action Center, which allows users to interact with them at a later time. To protect users' privacy, notifications that originate from an InPrivate session will not be stored, and any notification permissions granted to websites during a session will be discarded when it is closed. As illustrated above, users can also disable notifications from all websites or disable them on a per-website basis from the Action Center. While the aforementioned features will be included in the Anniversary Update, Microsoft intends to add additional features to the web notification feature set. 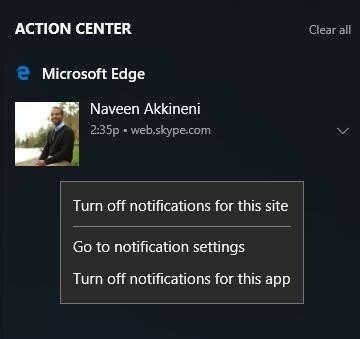 Notifications are currently grouped in the Action Center under a single 'Microsoft Edge' category, but the company plans to group them based on their originating website domains and to "preserve the site context of each notification." The company is also looking at ways to deliver notifications when a webpage, or even the web browser, is inactive. It is not yet known when the other features will arrive, but Microsoft notes that it is already working to improve the user experience and functionality of web notifications by collecting data on how users interact with them in the most recent Insider Preview build.